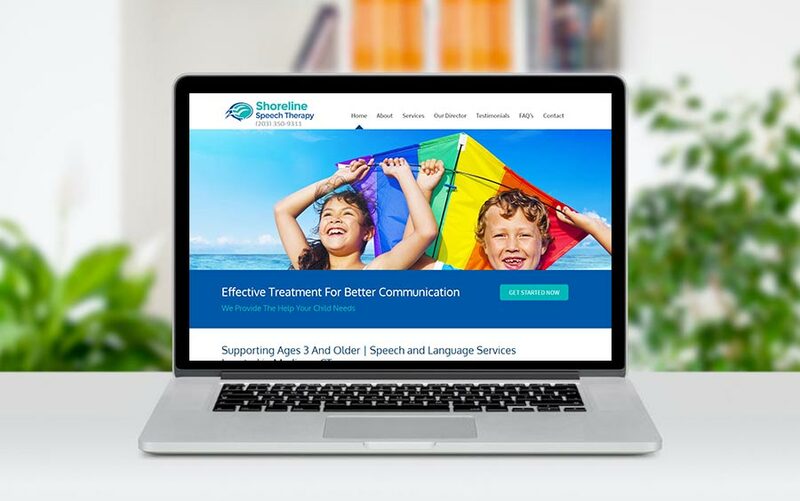 We were contacted by Shoreline Speech Therapy located in Madison CT. They liked one of our other designs and asked if we could make a similar site that accomplished their organizational goals. They did not need to many fancy features, but did want the website to look clean and professional, as well as display nicely on phones and tablets. Mission accomplished! Our search rankings went from zero to top rankings! Our company loves the simple and clean design McQ developed for our business, and considering we were creating a brand new website, we were not sure how long it would take to get good search rankings. Amazingly, within just a few weeks, we landed on page 1 of Google search results for our target keyword searches. Thank you so much McQ Web Design. We highly recommend you!